All I used was some really old polishes I don’t even know if they exist anymore, and I used some fine nail art brushes that I bought from eBay a while back. It was a bit hard for me to paint the little daisies on but I really like the bright blue summery background and yellow pop of colour! What do you think? These are sooo pretty. Wish I wasn't so useless at doing nails, I can barely paint them a single colour let alone do anything as lovely as this! Oh I love these, they are so beautiful! 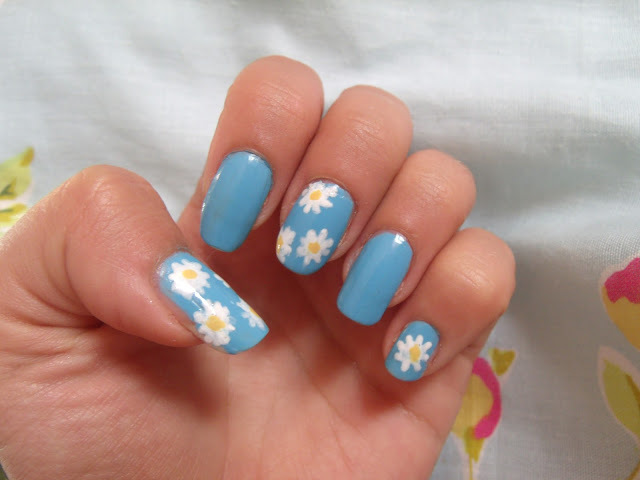 Wow wish I had the patience and steady hand to do my nails like this! They look great! I LOVE your nails! 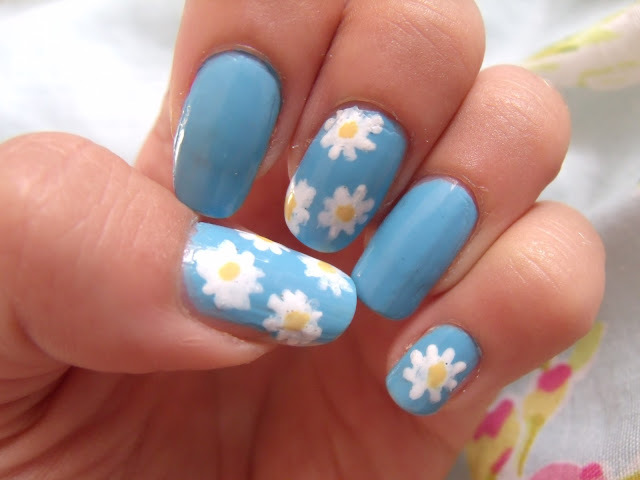 The daisies look gorgeous! Those are so cute! I'm rubbish at doing nail art. You're very talented.